Bloody revenge is at the heart of this stylish, kinetic action-thriller that gives a welcome shot of adrenaline to the classic femme fatale story. 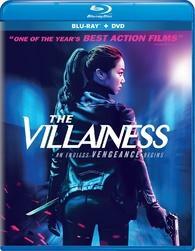 Honed from childhood into a merciless killing machine by a criminal organization, assassin Sook-hee is recruited as a sleeper agent with the promise of freedom after ten years of service - and she jumps at the chance for a normal life. But soon enough, secrets from her past destroy everything she's worked for, and now nobody can stand in her way as she embarks on a roaring rampage of revenge.